Simultaneous measurements of beam position, angular displacements, power. The system offers real time measurements of beam position and angular displacements as well as power display, with resolution down to 0. 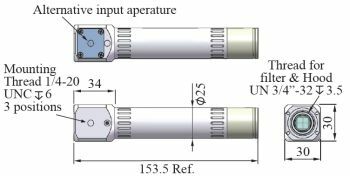 1 µm. Works with CW beams, and offers portable, fast and accurate beam alignment solution. ActiveX software for integration in customer’s application program is available. The Alignment Meter can measure tolerances and errors in mechanical devices with high precision. An Alignment Meter head is rigidly mounted perpendicular to a traveling carriage, and a laser is aligned towards the detector to define a straight optical path. As the carriage moves along the slideways the Alignment Meter measures changes in beam position and angle in two axes perpendicular to the direction of motion. Any changes in the position and angle readings will indicate deformities in the rails, play in the bearings, or both. 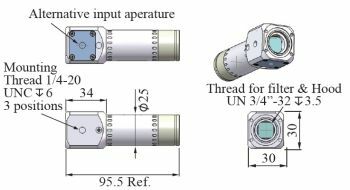 Using the Alignment Meter system it is possible to test the drift, centration, alignment of the beam relative to the outer housing or tube. The beam power fluctuations are also monitored. 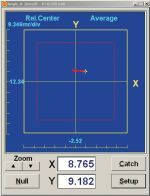 Using the Position and Angle screens simultaneously it is easy to track the beam, while the Chart functions record and save the characteristics over time. 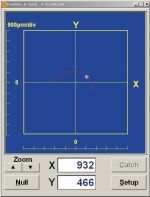 Real time display of X,Y beam centroid. Real time measurements of beam angular deviations. Main features: set relative center, perform zooming, alarm setting, average. Display changes in the X,Y position, or in the X,Y angle versus time, with autoscaling and saving options. Display power with analog and digital displays. 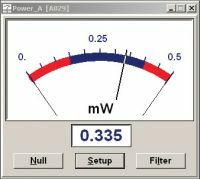 Display changes in Power versus time, for the Position sensor or for the Angle sensor, with autoscaling and saving options.